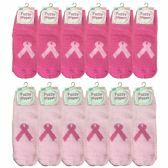 Wholesalesockdeals offers the lowest prices on wholesale ladies breast cancer awareness socks featuring pink ribbon print. 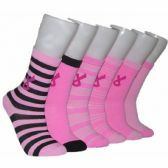 Our national breast cancer socks are made of high quality material for excellent fit and long lasting wear. 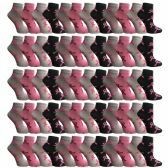 Show you support at marathons, walkathons and charitable events with Wholesalesockdeals 's wholesale breast cancer awareness socks. Enjoy deep discounted prices and fast reliable shipping when you buy bulk from Wholesalesockdeals . Shop today and see how much you can save. 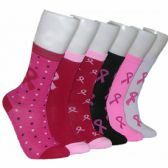 Show your support for the national breast cancer society with Wholesalesockdeals's pink ribbon socks. We are proud to meet the needs of many marathons, charitable runs, fundraiser events, hospitals and government agencies around the country. 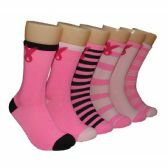 When you buy wholesale breast cancer awareness socks from priceuswholesale at these low bulk prices, wholesale pink ribbon socks are the perfect promotional giveaway item for marathon teams, walkathons, breast cancer awareness fundraisers and national events. 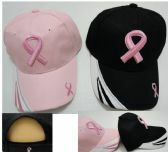 Buy wholesale breast cancer socks from Wholesalesockdeals and start saving now.